WATERLOO, IA. — Wrestling legends Dan Gable and Kyven Gadson, joined forces on Friday, Oct. 23 at for a special autograph signing during USA Wrestling’s Preseason Nationals. Gable and Gadson, who both wrestled for Waterloo high schools and for Iowa State, signed autographs at the National Wrestling Hall of Fame Dan Gable Museum, 303 Jefferson St., in Waterloo, Iowa, Gadson was an NCAA wrestling champion in 2015 while Gable was an NCAA wrestling champion in 1968 and 1969. Both signed autographs at Preseason Nationals. Gadson won the 2015 NCAA wrestling tournament at 197 pounds, becoming the 13th wrestler from a Waterloo high school to win a Division I NCAA wrestling championship. He won state wrestling championships for Waterloo East High School in 2009 and 2010 after placing third in 2008. Gadson was a three-time All-American and a three-time Big 12 champion at Iowa State. “I am honored to be in the position I am in,” said Gadson. “It is important to give back to the kids and this is a great opportunity for me to give back to the wrestling community during a major USA Wrestling event.” Gadson is pursuing a berth on the 2016 Olympic wrestling team at 213.5 pounds. The 2016 U.S. Olympic Trials are being held on April 8-10 in Iowa City, the same city where Gadson was born. PFP Sports & Celebrity Talent Agency is a booking agent for motivational sports speakers and celebrities. 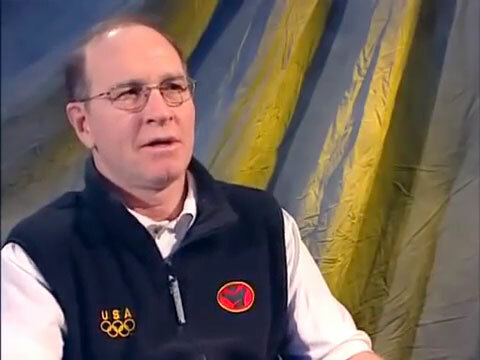 If you would like to book Olympic athletess or Gold medalists like Dan Gable for a speaking engagement, personal appearance or special event, you can request Dan Gable agent and speaker information from PFP Sports & Celebrity Talent or call 800.966.1380.